Living abroad can be at its most challenging during the holiday season. In addition to the separation from friends and family, the absence of certain culinary comforts often makes the distance from home seem all the farther. Twenty-five percent of me is Italian, and as such my Christmas meals have always been laden with the fare of the old country. Although there isn’t a true replacement in Ankara, I found Mezzaluna to be an acceptable alternative for grandma’s cooking this year. Originating in New York City, Mezzaluna came to Turkey in 1995 and currently operates eleven branches across the country. The menu and quality are very similar to that of Paper Moon, the other upmarket Italian chain in Turkey. While I would say that Mezzaluna isn’t quite as good, I prefer it because of the (slightly) lower prices and they don’t gouge you for water. The pizza is the star attraction at Mezzaluna. Sizable and tasty, they feature unique Italian ingredients that are a delight to the pork lover living in a Muslim country. The eponymously named Mezzaluna (topped with prosciutto, mushrooms, eggplant, mozzarella and tomato sauce) as well as the Rossa (sun-dried tomatoes, caramelized onions, black olives, capers, mozzarella and tomato sauce) are sure to please. The pasta dishes are also quite good, but I find the portions to be a bit too small for my appetite. 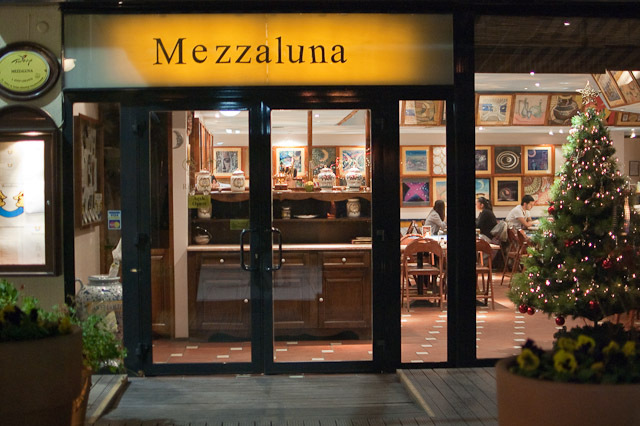 Mezzaluna has two locations in Ankara, one in Bilkent and another in Kavaklıdere (Google Maps). 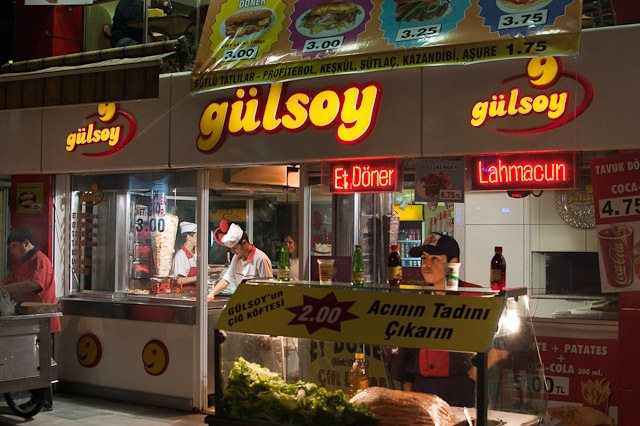 Entreés are priced between 20TL and 30TL ($13.20 and $19.80 at 1.51TL/$). Alcohol is served.